Ribble fm, the Ribble Valley’s new volunteer-run local radio station, is due to go live on air in July ─ but there’s a lot of work needed before the big launch. The new fm station will broadcast a wide mix of community-focused programmes to the whole of the Ribble Valley from its studio based at The Grand, in the heart of Clitheroe. But at the moment that ‘studio’ is little more than an empty room and now organisers are appealing for lots of help this weekend to get it ready for the launch. “It’s absolutely fantastic that The Grand have offered us a home,” said Kath Lord-Green, station manager of the new not-for-profit community interest company. To get the studios ready, organisers are planning a ‘DIY SOS Big Build’-style event this Saturday and Sunday, April 23rd and 24th, appealing to local tradespeople, DIYers and anyone willing to roll up their sleeves and lend a hand. Anyone who thinks they might be able to help is asked to call Kath on 07921 072792 or fellow organiser Sharon Blake on 07739 682351. 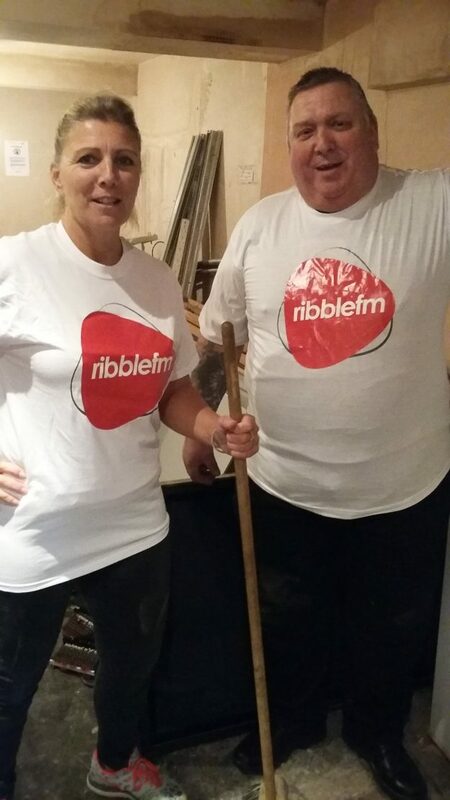 Helpers can also email kath@ribblefm.com, get in touch via Twitter @ribblefm or the station’s Facebook page (facebook.com/ribblefm) or just turn up ready to help from 10am on either day. The website also has details of how volunteers can get involved with the new radio station, either behind the scenes or as on-air presenters. Local businesses can also find out about the various advertising and sponsorship opportunities available. This entry was posted in ribble valley on April 18, 2016 by admin. Promoting your company at key trade shows and industry events is a great way to win new business. But in order to stand out from your competitors it is vital to showcase what you do in the best possible light, maximising the limited space available to you. Here at SDA we have more than 25 years’ experience in marketing your business to its full potential, including the design, build and management of exhibition stands for a wide variety of events. 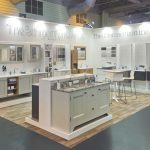 We have worked with national and local companies including Crown Paints, Ted Todd Hardwood Floors and Glen Dimplex to meet their needs for inviting and attractive exhibition spaces which draw in customers like a magnet. 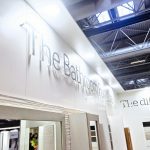 Our skilled and experienced team of designers, builders and fitters will work with you from the outset to ensure all your needs are met in an exhibition stand which encapsulates everything that is best about your business. And because SDA is able to do everything in-house, our bespoke solutions are extremely cost-effective. 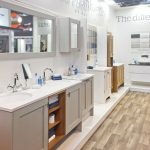 One of our most recent clients was The Bathroom Furniture Co. by Burbidge, designers and builders of luxury, quality handmade bathroom furniture. 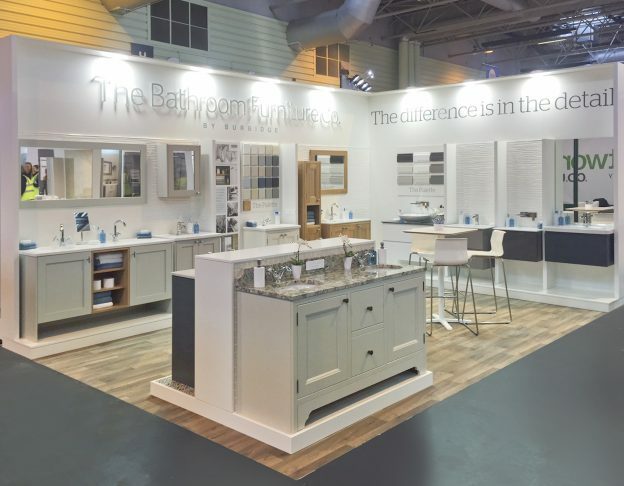 They required a stylish and compelling stand for the four-day KBB (Kitchen, Bedroom & Bathroom) exhibition at the NEC in Birmingham. 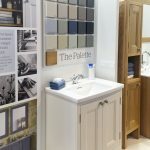 This show is an unrivalled platform for architects, interior designers, retailers, contractors, plumbers and developers to source and specify the latest products, so it was vital they had a stand which reflected the tailor-made quality of their high-end product. Working closely with our client we were able to design and build a 24 square metre exhibition stand to meet all their needs on deadline and within budget. We also transport the stand to the exhibition and manage its timely on-site assembly as well as dismantling and removal after the show. Mark Bailey, from The Bathroom Furniture Co. by Burbidge, told SDA: “I feel it is right to let you know how much I appreciate the help, support, flexibility and professionalism you and your team have given me personally and ‘The Bathroom Furniture Co. by Burbidge’. For a one-stop-shop solution to your bespoke exhibition stand needs, call Andy Tyrer at SDA on 01282 426846 or email andy@scottdawson.co.uk to set up a meeting or get a quick quote. This entry was posted in Clients, exhibitions and tagged exhibitions, exhibitions stands, kbb on April 13, 2016 by admin.